The Newton-Conover City Schools Curriculum Department is committed to serving the students and educators by providing support and guidance with the implementation of the North Carolina Standard Course of Study, research-based instruction, and instructional technology. Our Instructional Focus for the 2016-2019 school years will be the Instructional Core Framework. All teachers throughout the district will be engaging in a three year-long professional development on research-based strategies and structures to improve instruction. Click here to access the Instructional Core Support Document. 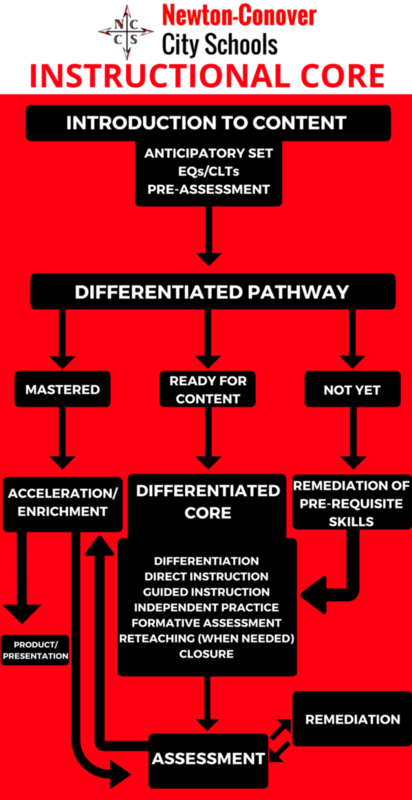 Click here to access the Instructional Core Presentation (updated monthly).